The links to third party Web sites on the pages of this web site will let you leave this site. The linked sites are not under our control and we are not responsible for the contents of any linked site. We are providing these links only as a convenience. Including the links on this web site does not express or imply any endorsement of any third party products or services. COPYRIGHT All information found in the pages of this Web site is protected under the copyright laws of Canada, USA and in other countries. Unless otherwise specified, no one has permission to copy, redistribute, reproduce or republish, in any form, any information found in the pages of this Web site. Copyright © 1978-Present and/or Associated Cab. All rights reserved worldwide. 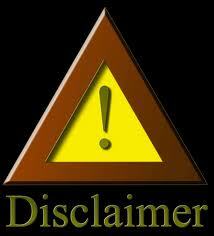 NO WARRANTIES The information provided in the pages of this Web site are for informational purposes only. Although we believe this information to be correct, and attempts to keep the information in the pages of this Web site current, no warranty as to the accuracy or completeness of any information in these pages is offered. To report dead links or out of date information, please send email to the webmaster, and every effort will be made to correct the information, or remove the link. Product and company names mentioned on the web site may be the trademarks of their respective owners. The display of trade marks on pages at this Web site does not imply that a license of any kind has been granted. Any unauthorized use of the trade marks may be a violation of federal or common law trade mark laws. Copyright © 1978-Present All rights reserved worldwide.